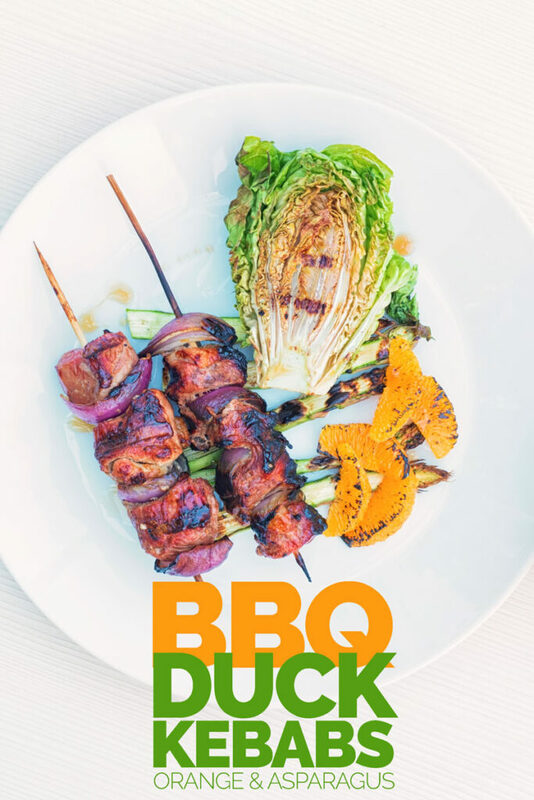 Stuff on sticks are a ubiquitous part of any good BBQ and this BBQ Duck Kebab recipe adds a whiff of ‘luxury’ to an age-old idea. I just had to kick off this years BBQ recipes with these kebabs. They feature simple classical flavours that work really well together. I give them a little Asian leaning and they are perfect for early summer and late spring. And yes I am cooking lettuce again! I will keep flogging this horse until people pick up on it. It is a technique I use in the side to my roasted Pork Loin with Carrot recipe and coronation chicken recipes. Lettuce is not just something to throw in a side salad, it is a viable real ingredient that we should take as much care of as any other ingredient. Can I Cook These Indoors? As with all BBQ recipes it is pretty simple to convert them to being cooked indoors. The cooking process here is very similar to the one I use in my Indian duck Curry recipe. 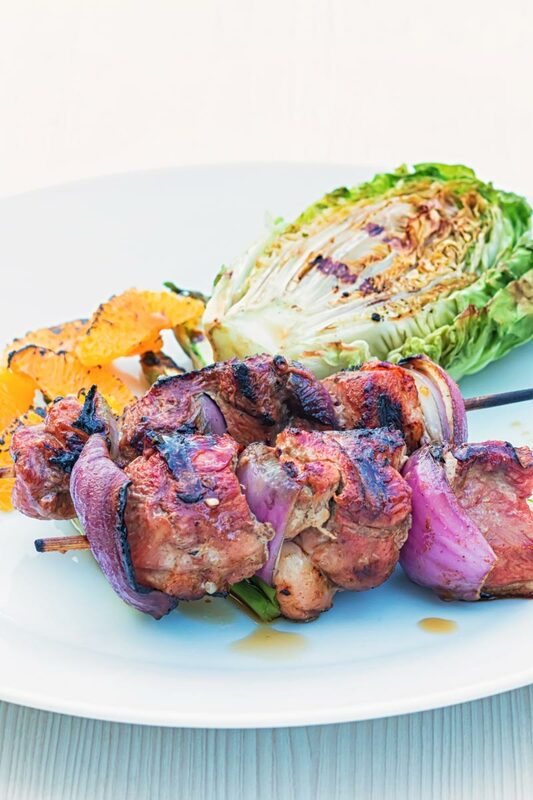 Just like that recipe all you would need to do to cook these duck kebabs indoors is slip them under a broiler. A kebab or kebob is nothing more than stuff on a stick. Being on a stick essentially makes things easier to turn when cooking. They are great for a BBQ particularly when you are feeding an army because you can just prepare lots of ingredients and allow people to make their own. 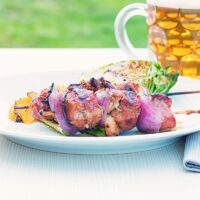 But they are just as good made for two as in this recipe or indeed my pineapple chicken kebab recipe. 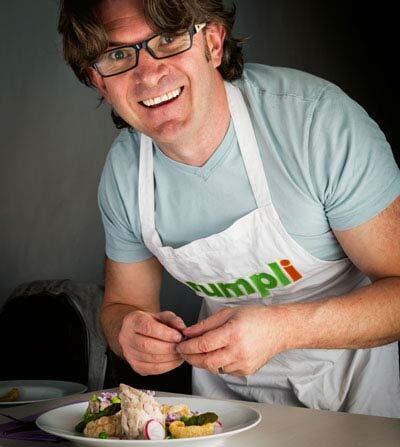 What are your favourite kebabs, I’d love to hear some new fresh ideas! 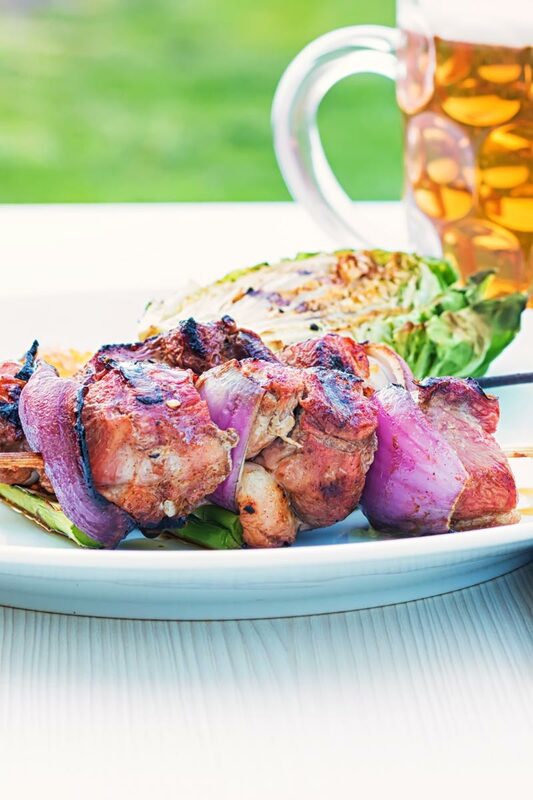 Classic flavours dominate this BBQ Duck Kebab recipe but raises the BBQ bar and adds a little luxury to your grilling! 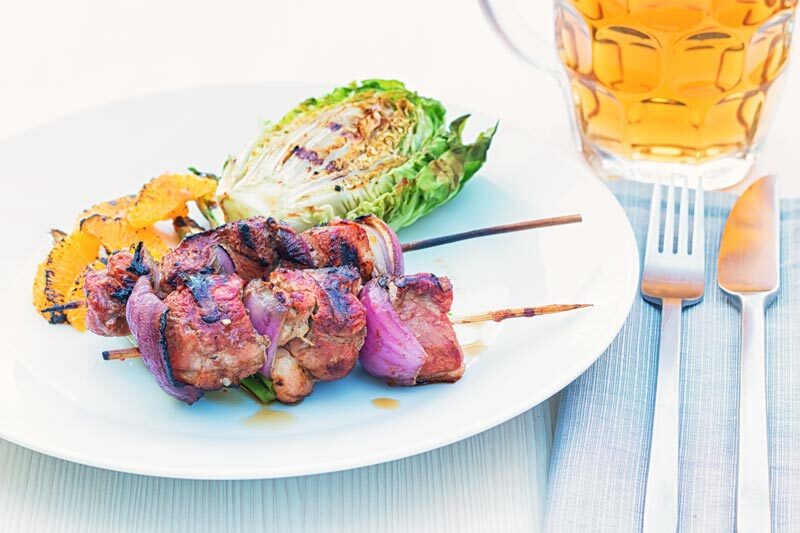 You should begin by putting 6 small bamboo skewers on to soak if you are using them over metal and starting your BBQ. Take your orange and as mentioned in the ingredient list, first zest, then peel the outside with a sharp knife and segment and finally juice the remaining flesh. Cut the red onion into quarters and then break them down into individual leaves. Score the skin of your duck breasts in a cross hatch pattern about 1cm apart and then cut into 2-3cm cubes. 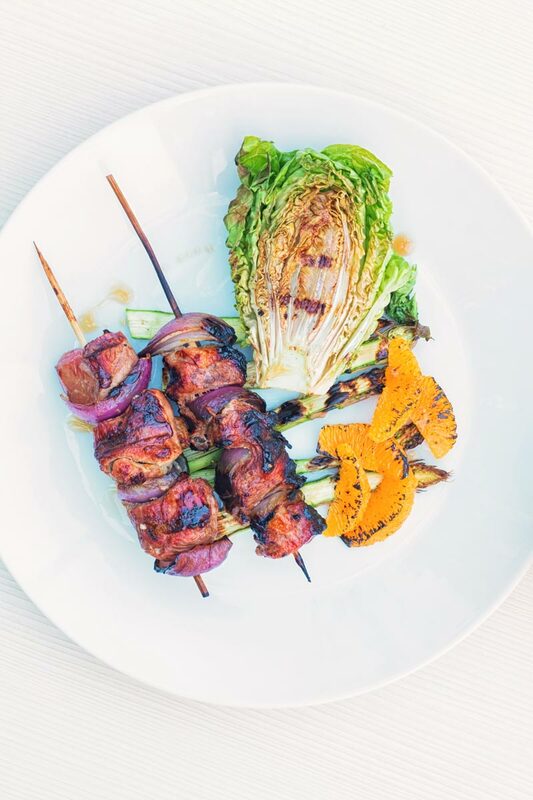 Take the duck and thread onto the kebab sticks alternating with red onion leaves. Sprinkle the sea salt, five spice and orange juice over the duck and set aside whilst we prepare the other parts of the dish. Cut the lettuce and asparagus in half. Now drop the kebabs on a hot bbq, they should sizzle right away and cook for 3-4 minutes, they should not stick if your grill is seasoned well. If not rub the kebabs in a little oil. Just before flipping over drizzle with half of the honey, then flip and drizzle over the remaining honey and cook for a further 3-4 minutes. Remove from the grill and rest for a while whilst you grill the asparagus and lettuce for 2 minutes. Season the lettuce with a little salt on the cut side before grilling. Sear the orange with a blow torch or under a broiler, it is a little difficult to do on a BBQ. Plate up and add a drizzle of toasted sesame oil to serve. You can cook this dish under a grill or broiler in the same way I did my duck tikka masala. Yeah, let’s hear it for BBQ season!!! I am so excited that it’s BBQ season, just waiting for the weather to get a little better and the sun to shine and we will start with the BBQ parties. Love how you added orange and asparagus to the BBQ. I cannot wait until the summer for bbq! It’s too bad we live in a London flat though, so bbqs are not the easiest to do. Our little one really loves duck at the moment though, so I’ll have to seek out a bbq to make this for him. Videos are time consuming for sure! Love how you snap and things get ready on their own, wish that was the case in real life- cooking would have been so much fun! These sound really good, and perfect for Bbq season!